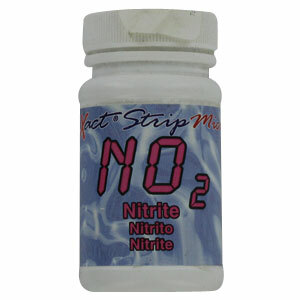 The Nitrite Test Stips for the eXact Micro 7+ Photometer contains a bottle of 50 test strips. Nitrate may cause health concerns if present in the public or private water supply in levels greater than the standard set by the EPA for drinking water. Nitrates and nitrites are nitrogen-oxygen chemical units which combine with various organic and inorganic compounds. The major sources of nitrates in drinking water are runoff from fertilizer use, sewage, septic tanks or erosion of natural deposits. The eXact Micro 7+ Photometer gives you the exact quantitative measurements instead of receiving qualitative results from a regular test strip. 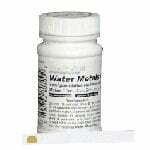 The bottle of Nitrite eXact Micro 486623 contains 50 test strips. The patented technology and method of the 7+ Photometer gives you safer, easier and more precise water testing. Infants below the age of 6 months who drink nitrite contaminated water in excess of the MCL from the EPA could become seriously ill. Symptoms include shortness of breath and blue baby syndrome. The Micro vial has a quick-fill feature that requires 2 seconds to sample the 3.3 ml. First, dip one test strip into water sample being tested for 2 seconds. Next, remove the strip and shake once to remove excess water. Finally, wait 25 seconds and compare your pH, alkaliity and hardness results with the chart on the bottle. After a minute, compare your nitrate and nitrite results. With the Micro 7+ Photometer, results are accurate and reliable.